With summer just around the corner, all of us here at TFD are starting to enter into vacation mode. And while we get super excited about planning big trips for days or weeks away at a time, they are certainly not the most cost-effective way to travel. But squeezing in even a long weekend trip can be a wonderful reset button, and help keep you from getting too overworked (#notchic). That’s why we’ve put together this list of inexpensive weekend getaways in New England. 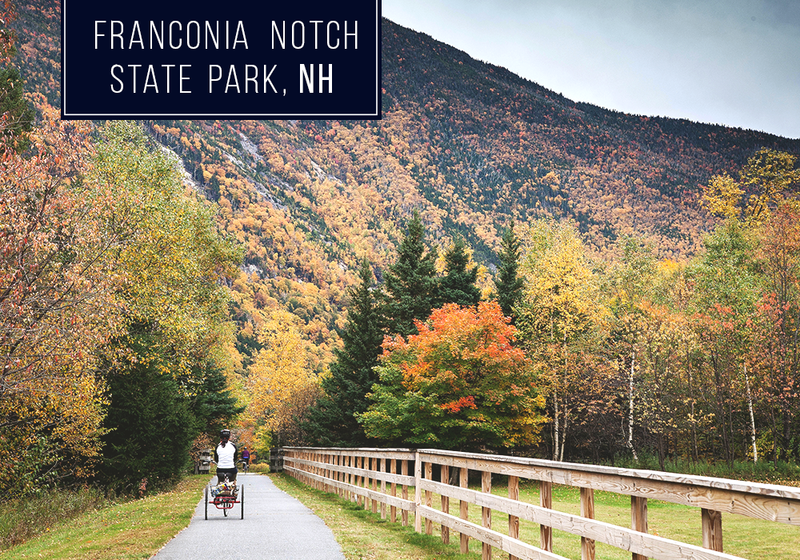 New England is a beautiful part of the country, and thankfully, almost all of the places on this list are just a day’s drive or bus ride from Boston or New York. Renting a car is a great option if you don’t own one, or if you’d rather not put unnecessary miles on the one you do own. Be sure to check out options after you explore the below options for a great New England weekend getaway this summer. 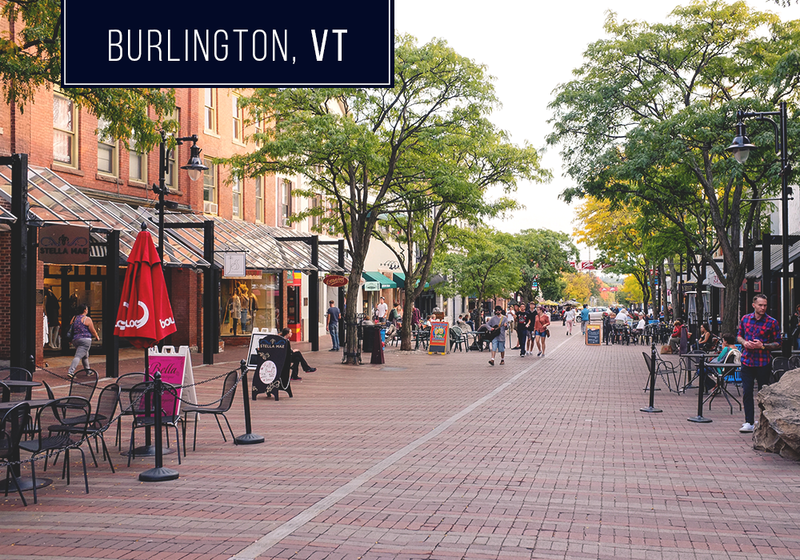 I am extremely biased because I went to college in Burlington, but I honestly think it’s one of the best towns in the country, and close to so many great day trips in New England. It’s situated right on Lake Champlain, with a beautiful view of the New York Adirondacks across the way. Plus, there are a ton of great farm-to-table restaurants, nearby hiking spots, and a 14-mile bike path along the lake. If you’re looking for more budget-friendly accommodations, I highly recommend checking out Airbnbs in nearby Winooski or South Burlington. Read a short city guide here. 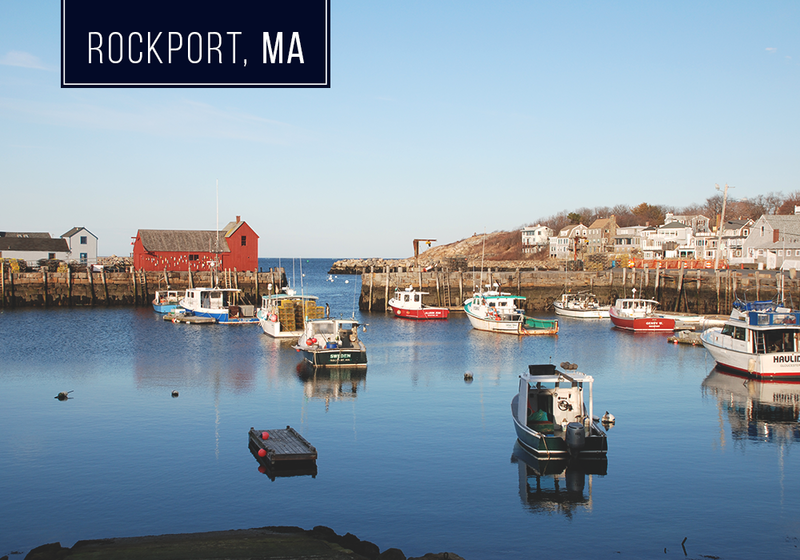 Lauren visited Rockport a couple of months ago, and came back with nothing but wonderful things to say about it. Just an hour north of Boston, Rockport’s beaches and historic downtown seem like an absolutely perfect spot for a New England weekend getaway. Plus, it’ll be a lot less expensive than somewhere like Cape Cod — especially in the off-season! Short city guide here. 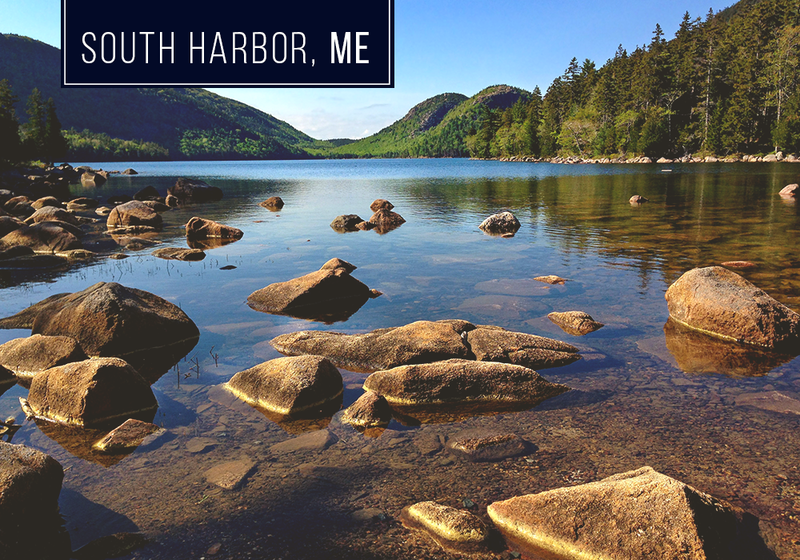 Bar Harbor gets a lot of credit for being the place to go near Maine’s beautiful Acadia National Park, but nearby Southwest Harbor is even more quaint — and a lot more affordable. There are plenty of adorable bed and breakfasts for you to come home to after a day exploring the beautiful national park. Read a short area guide here. 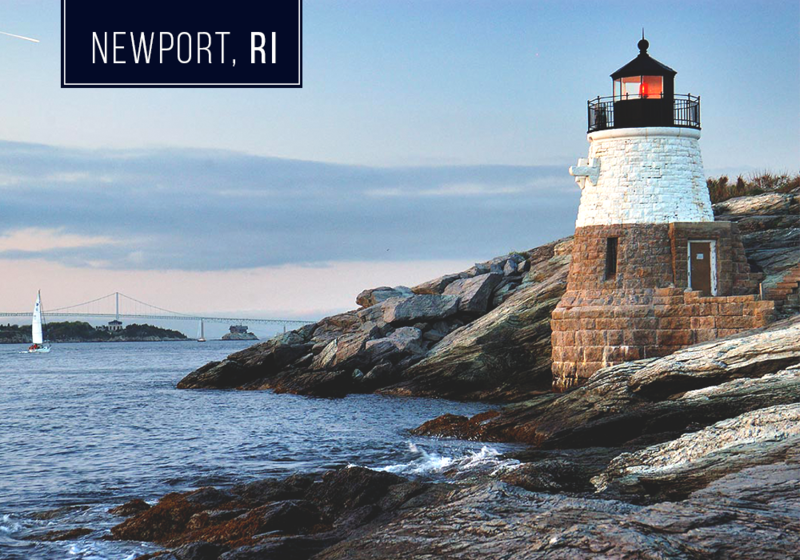 Newport, Rhode Island is a super popular destination in the summer, and for good reason — its New England charm and resort town vibe make it the ideal place to go relax. Plus, there are several Gilded Era mansions that have been turned into museums, which make for some excellent vacation ogling. Be sure to check out Airbnb options to avoid high resort prices. Short city guide here. Everyone I know who has been to Portland absolutely loves it. Perhaps surprisingly, it’s a great foodie town, and has one of the highest restaurants-per-capita in the country. 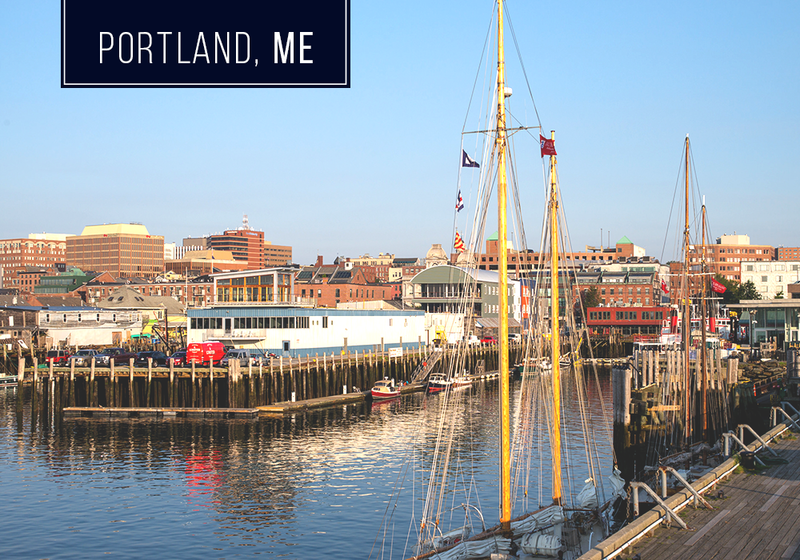 It’s the picture-perfect Maine town to enjoy some lobster and a beautiful ocean scape (complete with scenic lighthouse), and commonly referred to as one of the best places to visit in New England. Read a short guide here. One of the best New England weekend getaways on a budget is, of course, to go camping. I know that’s not for everyone, but if you already have equipment, it can be super affordable — and awesome. Franconia Notch has some of the best hikes (which, warning, can be pretty strenuous) I’ve ever been on. I loved camping here during my college years, and really appreciated the northern New England night sky sans light pollution. Read a trail guide here. 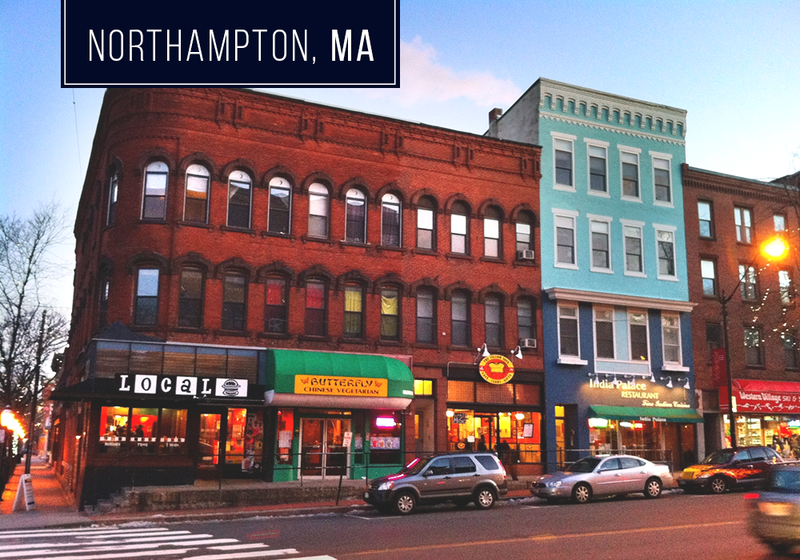 Western Massachusetts has plenty of adorable towns in gorgeous mountain settings, and Northampton is my favorite. 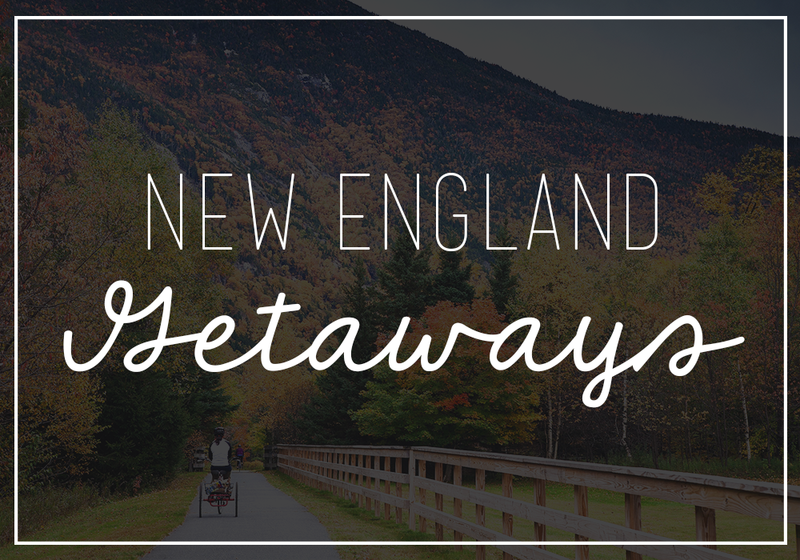 There are tons of nearby nature spots to enjoy, but the town itself has a thriving music scene and plenty of great food stops — definitely one of the places to visit in New England not to be missed! Short city guide here. 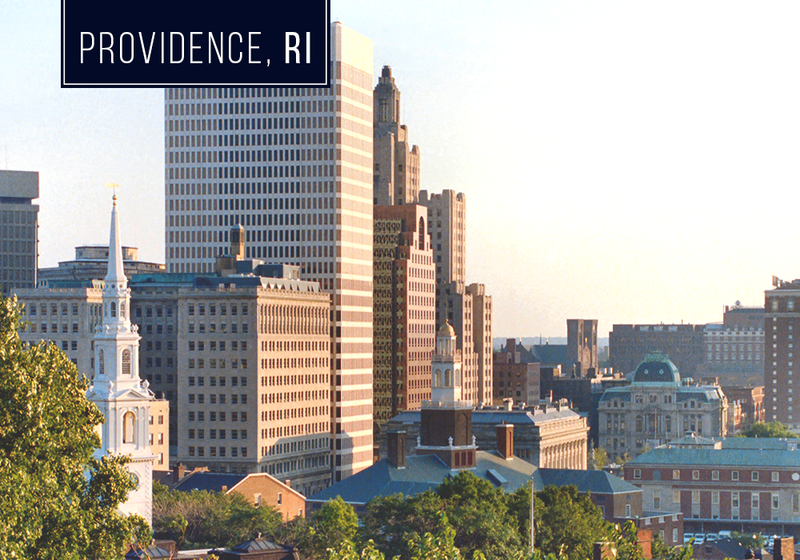 Many people overlook Providence in favor of the bigger nearby Boston, but the Rhode Island capital has a lot going for it. It’s just a short drive (or train ride, or bus!) from Boston, yet offers its own thriving downtown area. It also has a great arts scene, if you’re looking for some culture in your New England vacation spots. Short city guide here. Maybe this town was popularized by the movie of it’s now-famous pizza parlor’s namesake, but you know what? It deserves it. 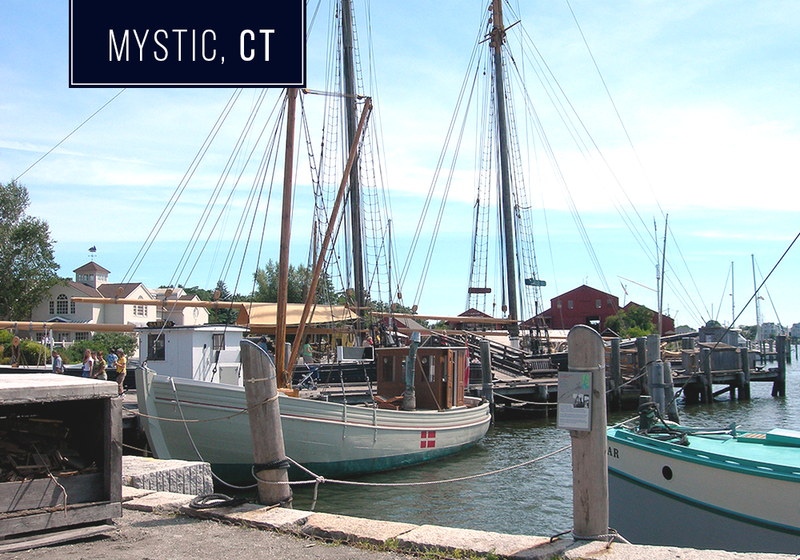 Mystic is an adorable place for a weekend escape, with plenty of great restaurants and a seaport filled with old boats to daydream about. Short area guide here. 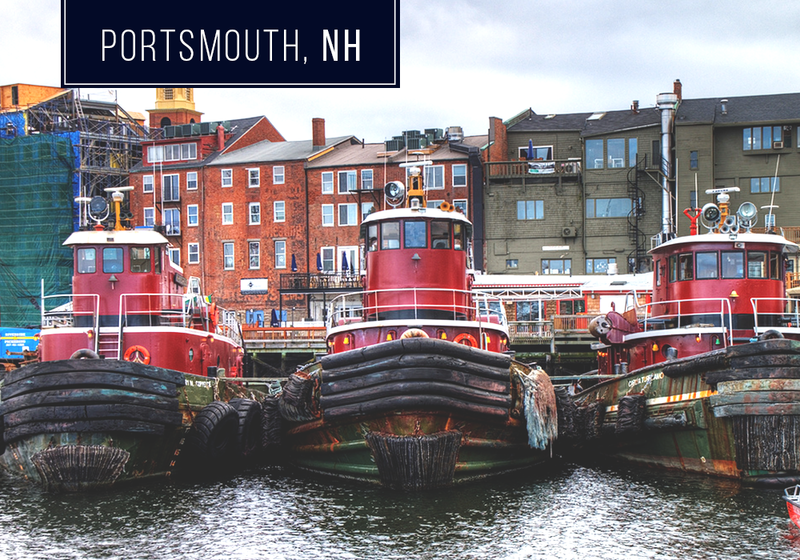 Portsmouth, NH is another wonderful waterside New England vacation spot. It claims to be the third oldest city in the country, and was settled in 1623 — a perfect spot for history buffs! Be sure to check out the country’s first naval shipyard across the river. Short city guide here.